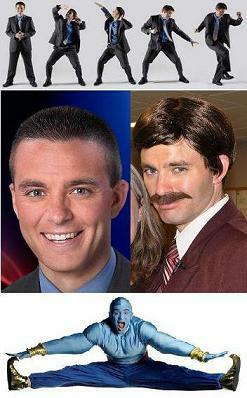 TV Anchor/Reporter Bob Herzog is SWN's 2010 Favorite Local TV Personality. There is never a dull moment with Bob, whether he is reporting the morning traffic or entertaining us with his weekly Dance Party Friday segment. Bob continues to makes us laugh and brings life to the morning news. With his many talents from reporting the news to acting in Children plays, Bob Herzog is the life of the party. Thanks Bob for making the morning news enjoyable and helping us put a pep in our step on the last day of the work week with your Dance Party Friday segment. Q102's Jeff & Jenn Morning Show (w/ Fritsch)is SWN's 2010 Favorite Radio Duo/Team. The dynamics between the three of them is a perfect fit. We love it when Jeff gives his advice from the male perspective and how Fritsch always chimes in with something interesting and funny. Jenn gives the best of both worlds. She is funny and keeps it real. Jeff & Jenn's Morning Show makes the morning drive to work refreshing and exciting. Thanks guys for making us forget why we are in the car fighting rush hour traffic to deal with a another rough/sometimes crazy day at work. Kristin & P.C. Cast are SWN's 2010 Favorite Authors. 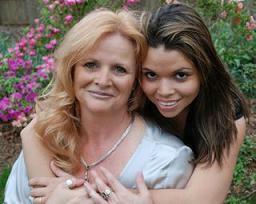 This mother and daughter duo have added a new flavor to the Vampire themed story line. With their best selling House of Night series they are taking the Literary world by storm. We look forward to their books being turned into a mega blockbuster hit.